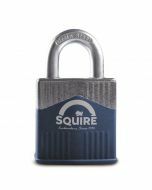 These uniquely designed padlocks offer a medium to high level of security. They come in 3 body widths 45mm, 55mm and 65mm and within each size, open shackle, closed shackle and long shackle variants are available. They can be supplied Keyed Alike upon request and are supported by Crimestoppers.